Liz McInnes won. Live with it. The “thrill of the chase” is the layman’s version of a body of marketing research looking at why humans expend a lot of energy in pursuing a goal which they find rewarding, and yet effortful. Apart from THE major policy, of pulling up the drawbridge on the torrent of immigration we’re apparently experiencing on an industrial scale, many members of the general public are at a loss to identify a single meaningful policy of UKIP. This is particularly the case in UKIP’s submissions on NHS policy, where scattered offerings do not form a coherent picture. If anything the policy mutterings of UKIP, which do not in any form constitute a policy, go along the lines of a fundamentally corporatist flavour, ‘making the NHS more efficient’ and ‘laying off the excessive staff’, rather than valuing the workforce, for example many nurses who’ve not benefited from a pay rise for many years. But it could be that the sheer enjoyment of seeking pleasure ultimately from UKIP matters more than what they wish to do on the NHS. The ‘scattergun’ nature of UKIP decision-making is of course hugely fraudulent. At one moment, UKIP can offer motherhood and apple pie, such as insisting on an exclusion from TTIP, the hated transatlantic trade agreement. It can then do a volte face at any moment, in the hope that potential voters will have selected in their minds the policies most attractive to them even if they subsequently become redacted. UKIP, also, despite wishing to present a united front, can present polar opposite views to voters who have previously voted Labour like Gillian Duffy from those presented to normally Conservative voters in the South West or East of England. UKIP is an embarrassment politically. All the criticisms have been well rehearsed elsewhere. The criticisms against Liz McInnes, who has spent the last thirty years working in the NHS, have been utter desperation. The BBC, whose credibility is as embarrassing (and some might say offensive) as a Jeremy Clarkson numberplate in Argentina, would much rather focus on how pathetic UKIP insisted on a recount, rather than mentioning what McInnes might offer her constituents in terms of her wealth of experience on valuing staff in the NHS. But here’s some sanity from James O’Brien. In a sense we get the media we pay for, but I for one do not wish to pay an enhanced contribution to listen to the bigoted ranting of BBC domestic news commentators as a form of indirect taxation. The output of the Corporation in domestic news has been for some time worse than pathetic. It has been worse than getting blood out of a stone in trying to get the BBC to cover the diabolical NHS reorganisation which has so far cost a huge amount of waste in terms of redundancy payments and legal fees for competition experts. Labour has next to no hope in getting a fair crack of the whip when it comes to their flagship policy of combining health and care, which many specialists now feel is long overdue in England. There has to be some semblance of fairness in the BBC’s coverage, such that, for example, it can be difficult to incumbents to increase their majority (a meme rapidly disseminated by the CCHQ ably assisting the BBC). Also, the swing away from the current Coalition in the Heywood & Middleton seat was actually more than thirty percent. Labour’s share of the vote did go up in Heywood and Middleton. The majority for Liz McInnes might constitute a fewer number of people, but overall votes have been declining. The Conservatives which lost both the seats know their leader David Cameron is a dead duck. I do not particularly like Ed Miliband’s leadership style, but I am truly sickened with the way that the Coalition has incessantly lied about how the deficit was caused unilaterally by Gordon Brown. This sheath of lies has given credence to the shambolic lie of economic credibility by the Conservatives – despite a level of debt which is now exploding out of all control. In a ‘first past the post’ system, Liz McInnes won. Live with it. For many, the chase of UKIP will be sufficient escapism, until the moment such voters enter a hospital to be treated by an Asian nurse on the minimum wage who will show the patient excellent professionalism anyway. It is impossible to tell the outcome of the general election of 2015, but it might be worth all the political parties not publishing manifestos but statements of their unnegotiable areas. If it turns out UKIP does not want to negotiate on its flat-tax for the NHS from UKIP manifestos popping through the letterbox, at a time when NHS funding is a national cause for concern, then we know we do not have to buy any extra toilet paper. Labroo A.A. & Nielsen J.H. (2010). Half the thrill is in the chase: Twisted inferences from embodied cognitions and brand evaluation. Journal of Consumer Research. 37(1), 143-158. The Tory pitch on the NHS is based on two innocent misrepresentations. They’re huge – like the debt. A perfect way to annoy nurses is to promise a tax cut for people with the highest incomes ahead of a release from the pay freeze most nurses have endured for the last few years. I’ve noticed a curious phenomenon when I retweet articles on Twitter. It is not a secret that I am ‘left wing’, whatever that means to the intelligentsia of North London. If I retweet an article from the perspective of how awful this Government, by a left wing ‘seleb’, it won’t be uncommon for people to think ‘nothing to see here, please move on’ . But, if I share something by Fraser Nelson or Isabel Hardman, all hell breaks lose. Take, for example, the article by Nelson criticising the burgeoning debt burden, published in that well known leftie rag, “The Spectator”. 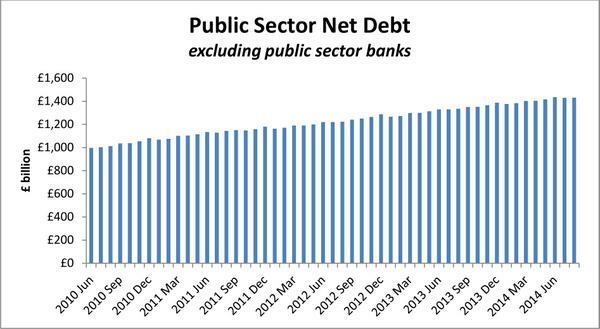 It’s a refreshing honest piece of journalism entitled, “Osborne increases debt more than Labour did over 13 years“. I suspect both Ed Miliband and David Cameron were more prepared for the scenario if Scotland had voted ‘yes’ to independence. 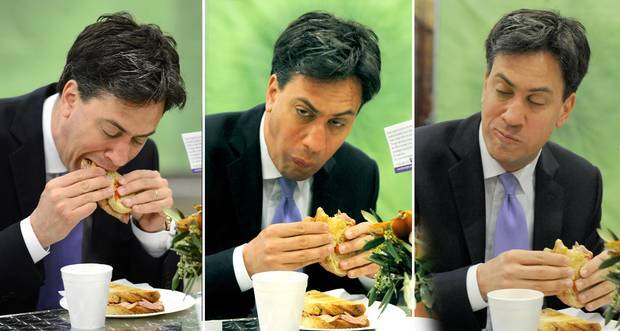 Most people I know felt that the story of Ed Miliband’s walk in the park was totally underwhelming. David Cameron, in an outbreak of honesty, meanwhile, let slip that he “resented” the poor. This, for me, represents a clear example the “don’t think of elephants” phenomenon. The harder you try not to think of something, you think of it. Once, at the Labour Conference held in Liverpool (2011), I asked Jim Naughtie about this famous episode. Both Naughtie and I burst out laughing. Jim Naughtie is of course not the first person to have dropped a massive clanger. Everyone, including Andrew Neil and Nick Robinson, knows that the pitch by the Tories on tax cuts, when the deficit is being given a second chance to resolve itself, this time by 2018, is a total farce. I had barely got over the admission that Cameron resented the poor when this suddenly happened. This is a colossal lie, as Sir Andrew Dilnot CBE, Chair of the UK Statistics Authority, has explained to Chris Leslie MP, the Shadow Chief Secretary to the Treasury, in his letter. The critical paragraph of that letter is this. Even a PPE graduate from Oxford can begin to get the gist from this graph helpfully provided by Dilnot. Similarly, because of inflationary pressures – including increasing service demands – on the NHS budget, it is difficult to argue that in real terms there has been an increase in funding of the NHS. That one is also colossal lie, as Sir Andrew Dilnot CBE, Chair of the UK Statistics Authority, has explained to Jeremy Hunt MP, Secretary of State for Health, in his letter here. The critical paragraph of that letter is this. The Conservative pitch logic is as follows: (1) the Tories are trusted on the economy, (2) Labour is trusted on the NHS, (3) Discredit Labour by repeatedly talking about Mid Staffs despite clearly enduring problems in the lifetime of this period of office, (4) Promise tax cuts in 2018 and ‘more for less’ (by citing examples such as falling crime despite budget cuts). But this logic is based on a surfeit of lies and half truths. It is a curious phenomenon that crime statistics keep on falling across a number of jurisdictions, fitting very nicely with the argument by libertarians for a smaller state. Furthermore, NHS England has reported on poor recent performance, following the time of the Mid Staffs disaster, in the “Keogh Trusts” during the lifetime of this period of a Conservative-led government. Andy Burnham MP does not repeatedly bring up the example of Harold Shipman, a colossal failure of regulation of general practice which happened instead under the lifetime of a previous Conservative government. It’s been repeatedly reported that Labour ‘do not appear to want to be in power despite being on the brink of power’. But, by that token, the Conservatives are behaving as if they realistically do not expect to be the largest party next May, either. The Conservatives-led Government decided not to take up a golden opportunity of regulating clinical professions, handed on a plate by the English Law Commission, in the last Queen’s Speech of this term. The General Medical Council even signalled their disapproval of this. And, as alluded to above, the debt is exploding while NHS demand continues to increase, leaving a ‘funding gap’ which has been brilliantly discussed by ‘The Health Foundation’. Once again, the patriotic Conservative Party have stuck two fingers up at the best interests of the country by currying favour with their high income (and wealthy) backers, instead. The “jam tomorrow” argument from the Conservatives could be fatal to a frank discussion of the need to integrate health and care from the next Government, whoever it is. But, as my late father often used to remind me, “one lie leads to another”. Time to turn to the “Black Eyed Peas” for inspiration perhaps. And the reason for my confession is that I learn my lesson. 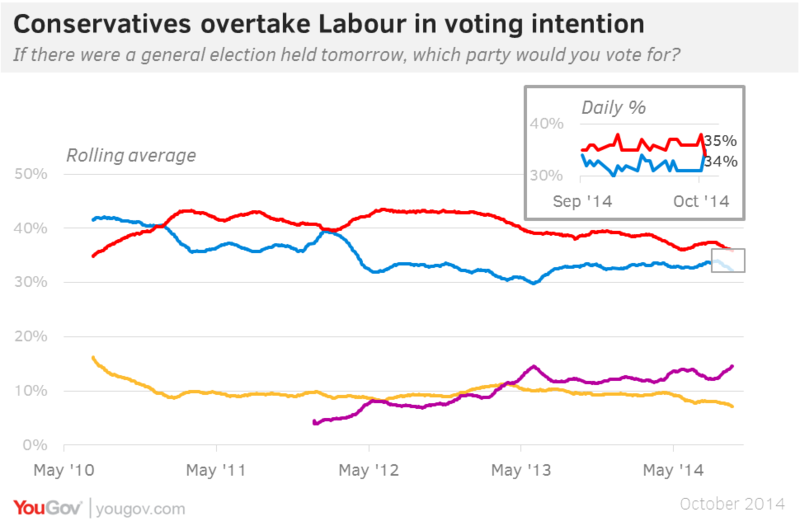 The Conservatives have overtaken Labour for the first time since March 2012 in the latest YouGov/The Sun poll. David Cameron has an inherent advantage in the public perception’s of his leadership qualities, in that he is doing the job every day and being seen to do so on the news. Credibility is an important currency. And Labour has already stated ‘the market went too far’ in the NHS. It is not a secret that many parts of the media try to present Ed Miliband in a negative light. Labour is trusted on the NHS, and the Tories are trusted on the economy; so a rationale strategy for the Tories is to make the link between the country’s economy and the NHS. However, real-terms NHS funding has effectively flatlined for a number of years now, not keeping up with the inflation in the system, and debt under this Government has got out of control. For example, you’re more likely to get a discussion of the ‘bacon butty’ incident than a discussion of how NHS contracts have been aggressively been promoted to the private sector, or how the Health and Social Care Act (2012) locks in the market. The Prime Minister often blames this lack of coverage on the era of the rolling news, but conversations in the social media have been very productive in exposing events which the BBC would rather not cover. David Cameron’s segment on the NHS was certainly passionate. Cameron must have been distraught at the closure of the Cheyne Centre which he had once fought to keep alive. But actions speak louder than words. When Cameron claims he will protect the NHS he doesn’t say from whom or what he needs to protect it. He no longer talks about the importance of competition in the NHS and many of the initiatives associated with Andrew Lansley seem to have been quietly forgotten. If David Cameron had wanted to win the trust of the medical profession, he would not have ambushed them out of nowhere with a ‘top down reorganisation’ which he promised would never happen. The £2.4 bn reorganisation is widely considered to be a tragic waste, when money could have, and should have, been invested in frontline services. The chunk of the speech on the NHS was little consolation to hardworking nurses who’ve witnessed yet another pay freeze, despite the economy’s performance recovering. Nurses, part of the lifeblood of the service, are not immune from the ‘cost of living crisis’, particularly if they are living in London and working in one of the powerhouse teaching hospitals. A&E targets have been consistently missed during the duration of this period of office by the Conservative Party (and the Liberal Democrat Party). The current Government need to address what to do about the ‘private finance initiative’. New contracts have been awarded during the lifetime of this Government, and, whilst they were undoubtedly popular under New Labour, their origin is clearly found in the John Major Conservative administration of 1992-1997. David Cameron, in his conference speech, simply behaved so passionately about the NHS as if the Lewisham debacle had never happened. The current Government even spent money trying to win the case in the Court of Appeal. GP waiting times have been an unmitigated disaster under this Government. There has been a marked rise in the number of NHS trusts in deficit. 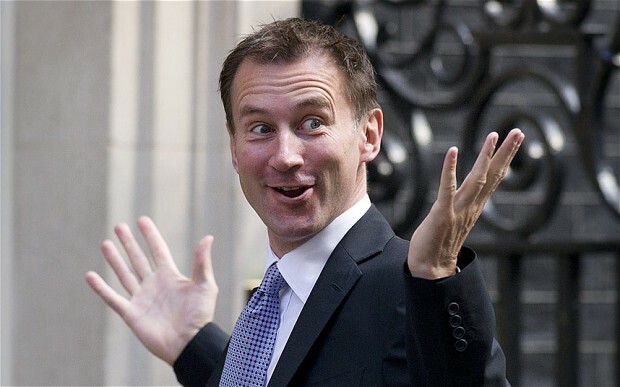 Jeremy Hunt is stuck in a time warp. He mentions Mid Staffs at every opportunity. Hunt, completely disingenuously, does not let the failures in culture, quality or management, identified at the CQC, soil his lips. The “Keogh Trusts” were dealt with due to failings which had occurred in the lifetime of and due to this government. Like the referendum on Europe, promising ‘to protect’ the NHS could be ‘jam tomorrow‘, if the Conservative Party fail to get re-elected. It is either a sign of confidence, or sheer arrogance, that David Cameron and colleagues can hang these uncoated promises in thin air. And, hard though it might be to swallow, the Coalition appears to have an ‘edge’ on some key policy areas. Labour would never have been able to get away with such dodgy promises, with their plans for government being watched like a hawk. With the help of the BBC and other supine media outlets, rather, there will be an inadequate scrutiny of these Conservative plans, which hopefully will be better articulated before the time of the election. As such, it does not matter what Labour promises its voters on the abolition of the purchaser-provider split, whole person care, the private finance initiative, reconfiguration of hospitals, GP waiting times, patient safety, and so on, if voters wish to vote for ‘jam tomorrow’. The hope is that a Secretary of State for a Labour government would be able to untangle the UK government out of TTIP and CETA trade agreements further giving propulsion to neoliberal forces attacking the NHS. There is a hope that health and care finances will be properly funded in the next Government. All parties have arguably failed to have this conversation with the general public thus far. 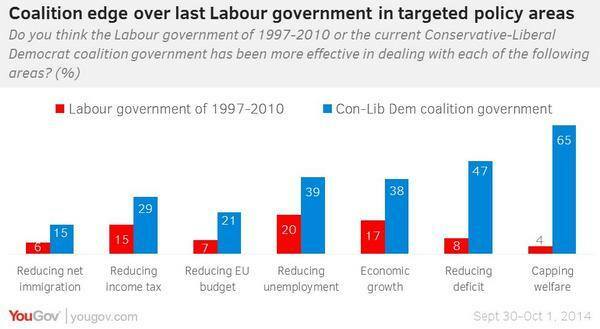 Some policies of the current Conservative-led administration are incredibly unpopular with Labour voters: e.g. welfare benefits, NHS privatisation, repeal of the Human Rights Act. The feeling of many, currently, is that, while they do not particularly like this Government, they do not wish to vote for Labour which appears to be offering a diluted form of what the Conservative Party is offering. This is not in any way a indictment of the sterling efforts of the Labour Party Shadow Health Team. But, before Labour attempts to plug the ‘funding gap’, it will need to resolve any ‘credibility gap’ first. This is stated correctly here. Leading commentators such as Joshua Rozenberg, Britain’s best known legal commentator, have previously advised that the debate must be conducted in a different light from the political grandstanding (article here). At the time, it was observed that Ken Clarke QC MP, like Dominic Grieve QC MP, was a keen supporter of human rights. In 2011, when I was studying my Master of Law, I attended discussion at the Honourable Society of Inner Temple last night. The seminar is jointly hosted by the Constitutional and Administrative Bar Association (ALBA) and the new Bingham Centre for the Rule of Law. The speakers included Lord Justice Laws, Lord Pannick QC and Professor Philip Leach, London Metropolitan author, and author of numerous publications including the book “Taking a case to the European Court of Human Rights”. The session was totally packed out, and the speakers took many questions from leading practising international barristers and academics. 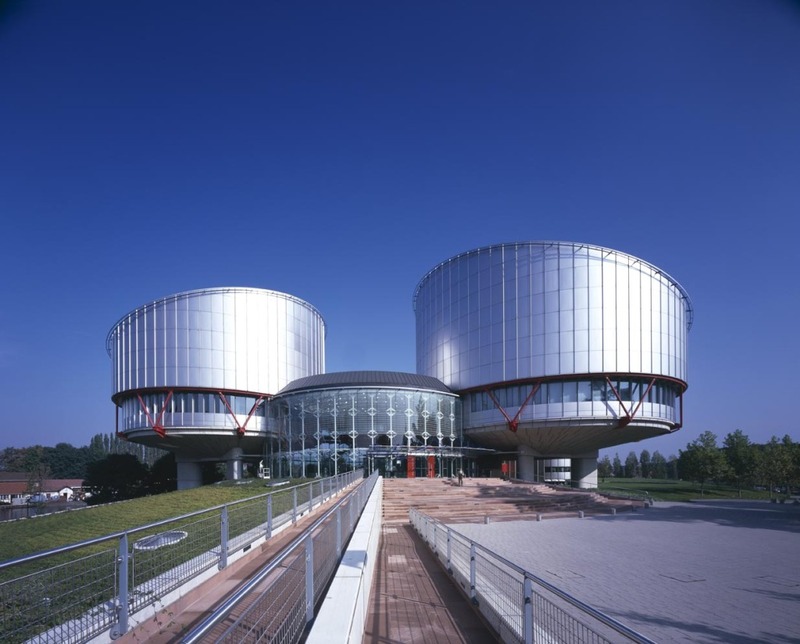 It is perhaps easy to overstate the opposition towards the Human Rights Act, but it was pointed out only two countries are openly questioning the legitimacy of the European Convention of Human Rights – Russia and the United Kingdom. LJ Laws has long been in favour of developing domestic jurisprudence in the context of the Human Rights Act and common law. He opined at this event that “the cases were beginning to speak, but the Convention was an useful guidance”, and reaffirmed the influence of a graduated approach to proportionality, an argument which Laws noted had been accepted by Bingham (see for example Regina v. Secretary of State For The Home Department, Ex Parte Daly). Laws reminded the legal audience that we, as a country, have always been in a position to influence Strasbourg, as for example the Pretty v United Kingdom case. Laws further mooted, however, why should the judges be deciding upon social policy. Considering particularly articles 8-12, Laws provided that often lawyers had to decide where to strike the balance in certain issues between competing interest, but fundamentally lawyers were there to establish the framework and issue – however Laws warned that the nature of this exercise in jurisprudence gives rise ultimately to issue of a philosophical nature. I found this academic exploration by Laws interesting in light of how human rights law might impact on aspects of health and care policy in England. Lord Pannick charted the history of the reaction to our history right legislation, in relation to Strasbourg. Pannick reminded the audience that criticising the Human Rights Act, in relation to Europe, was not a recent phenomenon. According to Lord Pannick, prisoners’ voting rights and the use of hearsay have also produced conflicting opinions from the UK and Strasbourg, and indeed these legal conflicts appear to be ongoing (see for example the present case of Zainab al-Khawaja, where the original argument was heard by the Court in 2010). Lord Pannick proposed that this conflict arose from various sources. Firstly, Lord Pannick felt there is a general resentment of European law amongst Conservative “elements”, and many of the population. Secondly, the objection to the European Convention of Human Rights could part of a wider objection to foreign law. Lord Pannick indeed reminded the audience that a Conservative MP, lawyer and judge, David Maxwell-Ffye, was instrumental in drafting the European Convention of Human Rights. Lord Pannick then identified a possible perception from the UK voting public, that judges should not be deciding on social policy: for example, the argument for prisoner voting is not a matter for judges, but should be a matter for parliament. Lord Pannick did not feel fundamentally that the criticisms of the HRA amounted to much. For example, the HRA expressly recognises that the UK Parliament is not bound by the Convention. If Parliament wishes to exclude voting by prisoners, the Human Rights Act does not prevent this. The judges can decide whether the defendants comply, but, according to Lord Pannick, it is equally important that the last word lies with parliament. Lord Pannick instead felt that a much more difficult issue is the relationship between parliament and the Strasbourg Court. A future ‘all Conservative’ government, even if it repealed the HRA would still leave the jurisdiction of the Strasbourg Court intact – our own judges have no effect on the jurisprudence. If the 1998 Act were to be repealed, as parliament is overeign, the number of British cases to Strasbourg would increase according to Lord Pannick. Lord Pannick felt that an useful to look at the relationship between our Supreme Court and Strasbourg would be to look at the ‘control of its docket’ jurisprudence, in other jurisdictions of international law. Lord Pannick ultimately felt that the power of our parliament to define power Strasbourg as a body is limited. It would be unprecedented for us to withdraw from the European Convention of Human Rights, incompatible with membership of the EU, or Council of Europe. According to Lord Pannick, the concept of European minimum standards is of vital importance to us. There may be be occasions when national or international considerations are that our judges do not originally recognise that human rights are being breached (e.g. gays in the military) It would be difficult for us to expect that other countries such as Russia should comply with the Convention, if we do not. Lord Pannick therefore felt that the situation now required an accommodation on both sides. The Human Rights Act (1998) is also relevant to aspects of policy relating to people’s health: there have been concerns whether the ‘welfare reforms’ have offended human rights legislation. There have also been concerns whether the fitness to practise procedures of the GMC need to be explored with the human rights lens? There are also further issues, unresolved as yet, about whether the Health and Social Care Act (2012) offends humans rights legislation. Most of this blogpost was first published on Dr Shibley Rahman’s legal blog here. I believe that whole person care, to be introduced by the next Labour government, will be brilliant for bringing together health and care professionals with persons with dementia, and carers and support workers. But we should also be extremely vigilant of dodgy presentation of evidence being used ‘in the name of’ campaigning for my pet subject, dementia, I feel. We keep on being told that the ageing population is one reason why we can no longer afford the NHS. The clinical syndrome of dementia, for which advanced age is a risk factor, has therefore taken on a special significance in this context. Health policy gurus and politicians are seemingly having to find increasingly elaborate ways to force their agendas on an unsuspecting public. “The Shock Doctrine: The Rise of Disaster Capitalism” (2007), penned by the Canadian author Naomi Klein, argues that libertarian free market policies have risen to prominence in some developed countries because of a strategy by some political leaders. These leaders deliberately exploit crises to push through controversial exploitative policies while citizens are too emotionally and physically distracted by these crises to mount an effective resistance. Crises are, though, useful instruments for bringing about change. Within the timescale of this parliamentary term, the Prime Minister’s Dementia Challenge (launched in 2012) has seen a torrent of newspaper headlines with sensational memes. They invariably depict some sort of crisis in projected numbers of people with dementia, and have helped Big Pharma with the task of campaigning for increased funds to find ‘a cure for dementia’. The memes have largely had twangs of crises. For example, ‘dementia is the “next time bomb”‘ was an early news story from 7 May 2012. This messaging has continued consistently since, with the latest popular meme being “soaring numbers diagnosed with dementia“. Indeed, only recently with the arrival of the “Dementia UK (second edition) report” presented in a conference in Central London, a press release was published stating “Alzheimer’s Society calls for action as scale and cost of dementia soars”. But this messaging has caused utter confusion and resentment amongst leading academics and practitioners in dementia. The cumulative effect, instead, of such headlines and articles in public health has been to produce a feeling of ‘moral panic‘. As rightly pointed out by Dr Martin Brunet in “Pulse Magazine”, a well respected commentator on dementia policy in English primary care, recent evidence suggests rather that that the prevalence of dementia in over 65s in 2011 is lower than would have been expected. This “CFAS-II study” from Cambridge, which was published last year in the Lancet, is widely quoted, comprehensively peer-reviewed, and is extremely well known amongst people working in this field. This is all incredibly self-defeating, as the “Prime Minister Dementia Challenge” was intended to bring greater awareness of the dementias amongst the general public not least to tackle the stigma faced by people living with dementia in their everyday lives. But you have to wonder what the intention of this approach is in the long term? The final report from the Commission on the Future of Health and Social Care in England (“Barker Commission”) was published on 4 September 2014. It discusses “the need for a new settlement for health and social care to provide a simpler pathway through the current maze of entitlements”. Labour intends to introduce ‘whole person care’ in the next parliamentary term, and it could be that this “scorched earth” approach for dementia has served a useful function. “Whole person care” is their new “big idea“. The Barker Commission recommends moving to a single, ring-fenced budget for the NHS and social care, with a single commissioner for local services. And this of course is nothing new: it has been in gestation for quite some time. I myself, in fact, wrote about personal budgets for ‘Our NHS’ in my piece ‘Shop til you drop?’ on 4 September 2013. 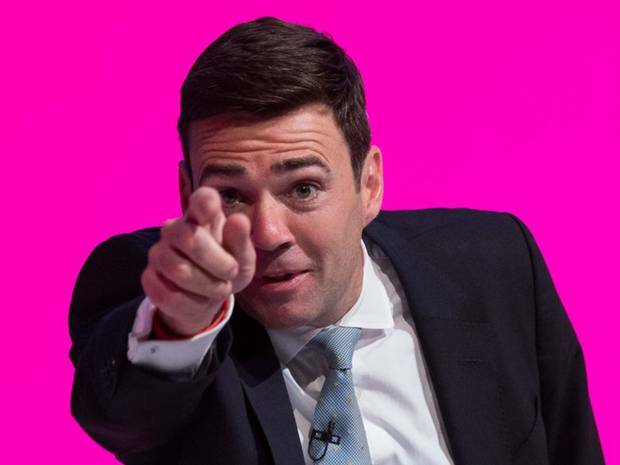 It is said that Andy Burnham MP, Shadow State of Secretary of Health, “welcomes the Barker Commission“, but one wonders whether he wishes openly to support the more unsavoury parts. Labour is desperately keen to introduce its policy changes on integrated care, without them being seen as another “top down reorganisation”. Any public resistance to their flagship policy will be political dynamite. Labour is instead currently campaigning on an anti-marketisation and anti-privatisation slate, and has pledged to repeal the highly toxic Health and Social Care Act (2012) (“the Act”). One significant part of this repeal will be the abolition of “section 75″ and its associated regulations, which introduced competitive tendering in commissioning as the default option for NHS procurement. Nevertheless significant faultines in policy, described elegantly by Prof Calum Paton in his pamphlet “At what cost? Paying the price for the market in the English NHS” for the Centre for Health and Policy Interest (February 2013), still exist. They also are at danger of persisting, even if Labour triumphantly repeals the Act. There is a danger that unless these other pro-marketisation strands are addressed first, such as the purchaser-provider split, the “whole person care” policy will become engulfed in an intensely neoliberal direction. The counterfoil to this from Labour would presumably be that whole person care does not require a market in the first place. For this, clearly, Labour must not inflict personal budgets. A further big concern of mine is simple: not only will current scientific research into dementia have been completely misrepresented in the popular press, but also the field of dementia will be used to provide the raison d’être for yet another upheaval in service change. And that upheaval could witness yet another change from the founding principles of the NHS. It could also be one too many. This is the text of the speech given by Mr Jeremy Hunt, the Minister who oversees the running of the NHS and care despite having no legal statutory duty for it. Today I am here to tell the British people that a future Conservative government will have no greater priority than to protect, support and invest in our NHS. That safety net Churchill wanted is our NHS today, supported across the political spectrum. Last week Labour tried to paint a different picture. They know this government increased the NHS budget despite the financial mess Labour left behind. They know the NHS has more doctors and more nurses than ever before. They know fewer people than ever are waiting long periods for their operations. They know the culture is becoming more caring. But they still seek to trick the public into thinking one party cares for the NHS and the other doesn’t. Well I have a message for Mr Miliband. It’s not a Labour Health Service or a Conservative Health Service…it is a National Health Service. And when my father was cared for by a district nurse or my wife had our baby this summer or our son goes for his jabs, they aren’t Conservative patients, Labour patients or LibDem patients, they’re NHS patients. When people in this hall volunteer to support the local league of friends or join the board of a hospital we’re not Conservative supporters – we’re NHS supporters. We all support the NHS because the NHS is there for us all. So don’t turn the National Health Service into a National Political Football and don’t use the NHS to divide us when it’s the fabric that unites our nation. This morning the Prime Minister announced plans to make it easier for millions of people to get 8 till 8 and weekend appointments with their GPs. And I want to start today by celebrating that and some of the other successes of our NHS, doing so well despite huge pressure. Take cancer, our biggest killer. Every family in the country has lost a friend or loved-one to cancer – I lost my own father last year. It is a ruthlessly indiscriminate killer – whether it targets someone who has just retired after a life of hard work or a child with a life stretching out in front of them. 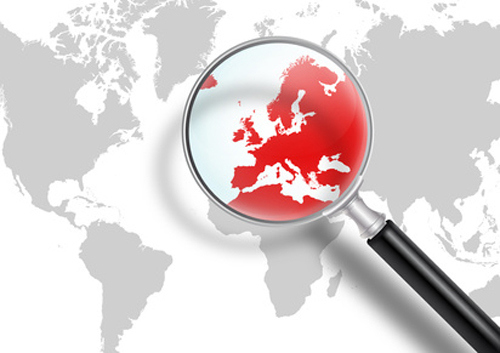 In 2010 this country had amongst the lowest cancer survival rates in Western Europe. So we set up the cancer drugs fund. We’ve transformed cancer diagnosis so the NHS now tests 1000 more people for cancer every single day. And so far this parliament we have treated nearly three quarters of a million more people for cancer than the last one – that’s thousands of lives saved, thousands of families kept together, thousands of tragedies averted. So let’s hear it for our brilliant cancer doctors and nurses. Or look at dementia, one of the most terrifying conditions of all. I’ll never forget the courage of man I met with dementia who single handedly stood up to the banks and demanded they gave him an alternative to having to remember a pin number. But it isn’t just your pin number that goes. It’s precious family memories, marriages of many years, relationships with children – all snatched away by cruel tricks of the mind. When we came to office fewer than half of those with dementia got a diagnosis, meaning many missed out on vital medicine or support for their family. We’ve now diagnosed an extra 80,000 people. The Prime Minister hosted a G8 summit to get the drug companies to do more to find a cure. And we’re working with the Alzheimers Society to enroll one million dementia friends to tackle stigma – with half a million signed up so far. So let’s hear it for GPs, dementia nurses, dementia carers, dementia friends and people with dementia who are changing the way our society tackles this horrible condition. Or A & E, the critical frontline for the NHS. A young A & E doctor told me how she had cried after seeing a 90 year old man say his goodbyes to a 90 year old woman he’d been married to for over 60 years. For her that was just part of the job. And with a million more people using A & E, the pressures on her and her colleagues are immense. Sometimes, yes, it’s been tough meeting the target. But despite that we have halved the time people wait to be assessed and are treating nearly 2,000 more people every day within the four hour target compared to 2010. So let’s hear it for our brilliant A & E frontline staff now preparing for a challenging winter. Conference our opponents say the NHS is in decline. But according to the independent Commonwealth Fund under this government the NHS became the top-rated healthcare system in the world. Better than America, better than France, better than Germany, better than Australia. And the way they rose to the challenge of Ebola says it all – with 164 NHS volunteers offering to go and help contain the outbreak in West Africa. So let’s hear it for all NHS doctors, nurses, porters, cleaners, caterers, carers and volunteers. You are the best of British and the pride of our nation. But that doesn’t mean things are perfect. About the first thing I did as Health Secretary was to read the original Francis report about the terrible things that happened at Mid Staffs Hospital between 2005 and 2009. I was utterly horrified. As Francis made clear, system-wide failings meant these problems weren’t limited to one hospital. One member of the public wrote to me about what happened somewhere else in a letter that was so shocking I asked to meet her. She said she visited her late husband in hospital at 5 in the morning and found him naked on a deflated mattress, caked in urine and excrement, and curled in a foetal position with a cold air conditioner blowing directly onto his body. She still has nightmares about that visit. Now that story, thankfully, is far from typical of our NHS. But I vowed that day that if I did nothing else, I would make sure I returned a culture of compassionate care to every corner of our NHS. Because caring is what the NHS stands for, what every doctor and nurse passionately wants, why the NHS was set up – and what a quagmire of targets, goals and plans too often allowed to be squashed. Supported by a wonderfully committed ministerial team – Freddie Howe, Norman Lamb, Dan Poulter, Jane Ellison and George Freeman – we’re changing things. We introduced a tough new inspection regime. Since then our hospitals have hired over 5,000 more nurses to tackle the scandal of short-staffed wards; 5 hospitals – Basildon, North Lincs, George Eliot, Bucks and East Lancashire – have been put into special measures and been turned round; and patients are saying that they are treated with dignity and respect not just at Mid Staffs but across the NHS the highest numbers ever recorded. Indeed on Friday of last week the CQC announced the first hospital in the country to get an ‘outstanding’ rating, Frimley Park in Camberley. Chief Executive Andrew Morris is so committed he has been there for 25 years and his son even works there as a porter. Well done to Frimley Park. Now the problems of poor care highlighted by Robert Francis happened under Labour – so I thought Labour would rush to support me in sorting them out. In fact they did the opposite. They said talking about poor care was ‘running down the NHS.’ They even tried to vote down the law setting up a new Chief Inspector of Hospitals. It’s not learning the lessons when a mother is forced to give birth on a toilet seat, as happened in 2007. Ignored by Labour, being sorted out by us. It’s making hospitals Foundation Trusts even when their mortality rates are too high. Brushed aside by Labour, being sorted out by us. It’s stopping the CQC telling the truth about blood-stained floors in one hospital. Happened under Labour, stopped by us. It happened in England before and it’s happening in Labour-run Wales today – so don’t you dare talk to us about running down the NHS. Because for Labour good headlines about the NHS matter more than bad care for patients – and in our NHS nothing matters more than patients and whilst I am running it nothing ever will. I simply say this to a Labour Party that still refuses to learn the lessons of Mid Staffs, until you do, you are not fit to run our NHS. And if you won’t put patients first we will – and it will be the Conservative Party that completes Nye Bevan’s vision for an NHS that treats every patient with dignity and respect. We will finish the job. I could go on with my concerns about the culture Labour left behind in our NHS. But I want to look forward and deal with one of the biggest concerns people have about the NHS which is about funding. Labour talked about putting in more money last week. But securing the NHS budget isn’t about an extra billion here or there. It’s about funding over £100bn, which is what we spend on the NHS every year. And that needs a strong economy. Because it’s very simple: you can’t fund the NHS if you bankrupt the economy. This parliament we’ve actually increased spending on the NHS by more – in real terms – than Labour promised last week. We’ve done it because of David Cameron’s personal commitment to the NHS and difficult decisions taken by George Osborne. Other countries followed Labour’s advice. They ducked those decisions. They had no plan – and ended up cutting their health budgets. Italy by 3%, Greece by 14%, Portugal by 17%. I don’t want that to happen here. So never forget we’ve just had the greatest squeeze on finances in NHS history because a Labour government lost control of our national finances. So to anyone worried about investment in the NHS I say this: a Labour government with reckless economic policies is the biggest single danger to funding our NHS. Do not take that risk. Nor should we forget that every penny of NHS funding comes not from the government but out of the pockets of hard working taxpayers. So if we increase spending on the NHS we must also look every one of them in the eye and promise that every penny is being spent wisely. Which means we mustn’t stop new ideas that come from outside the NHS – whether from charities or, yes, the independent sector. Labour call this privatisation. But using a charity like WhizzKids to supply wheelchairs to disabled children or using Specsavers to speed up the supply of glasses is not privatisation. When the last Labour government used the independent sector to bring down waiting times that wasn’t privatisation either. So stop scaremongering about privatisation that isn’t happening. It nearly cost us Scotland – and we won’t let it poison the debate in England as well. Secure NHS funding backed by a strong economy is the foundation. But the building blocks to a modern health service are two things that need real cultural change. Personal care – a real challenge as patients navigate one of the biggest organisations in the world. And personal control – in a world which has too often said the doctor, not the patient, knows best. I remember when I did a shift in an A & E last year. A 90 year old lady with dementia was brought in by ambulance after a fall in her care home. She was completely motionless. She couldn’t talk. She couldn’t feed herself or even drink a glass of water. What made it worse was that in that A & E we knew next to nothing about her. We didn’t have her medical record. We didn’t know her allergies. We didn’t know if she was normally able to talk or whether it was just because of the fall. To us at that hospital she was not just unknown. She was anonymous. How could we possibly give her the personal care she desperately needed? The same could happen to any one of half a million over 90s in our society. And it could happen to anyone with long term or mental health conditions, anyone of whom can find themselves anonymously pushed from pillar to post in a system that doesn’t know who they are. But for me the point of the NHS is to make sure all everyone gets truly personal care from people who know about them, know about their condition, know about their care plan – so that what happened in that A & E never happens again. As a first step that needs the integration of the health and social care systems. And for the first time ever this year it is happening. 150 local authority areas working together with their local NHS on their Better Care plans to pool commissioning, reduce emergency admissions and share medical records all starting from next April – with many of you in this hall involved. But truly personal care means more than joining up health and social care. It means personal, responsive care from your GP too. Last year I manned the phones in a busy London GP practice. The doctors there worked very hard. But what was frustrating was having to tell nearly every caller there were no appointments available for two to three weeks. We urgently need to make it easier for busy, working people to get an appointment. That means more GPs, so I can today confirm plans to train and retain an extra 5,000 GPs. But it also means new ways of working. Last year we announced plans for 7.5 million patients to get weekend and 8 till 8 appointments. Today we have also announced we are rolling that out to millions more – meaning this service will be available for a quarter of the whole population. And going even further, I commit that at the end of the next parliament a Conservative government will make sure every NHS patient across the whole country will be able to get weekend and 8 till 8 GP appointments. But personal care isn’t just about a convenient appointment. It means talking to a doctor who knows about you and your condition. Astonishingly in 2004 Labour abolished the requirement for every patient to have their own, named, personal GP. At a stroke, many patients were told they no longer had their own GP, but were merely attached to a surgery. And GPs were told they were no longer personally responsible for patients. If you have a chronic condition or complex needs, continuity of care is absolutely vital. You don’t want to have to explain everything about yourself over and over again – and you want a doctor who takes ongoing responsibility for sorting things out – not just that day but every day. So last year I changed that back for over 75s by insisting they get a GP named on their medical record and responsible for their care. Today I can go further and announce that in the new GP contract for 2015 every single person in England will go back to having a family doctor named on their record and responsible for their care. Personal care for every NHS patient – delivered by this government. People want personal care. But in the 21st century they want something else. Not just personal care but personal control. People with diabetes, or a heart condition, or recovering from a stroke say the best person to take control of your care is not actually your doctor – it’s you. And right now we make that far too hard. We don’t give people enough information. So this summer we became the first country in the world to publish detailed information about safety, waiting times, patient experience and food for every major hospital. And on the new MyNHS website we’ll go further. But it isn’t just information about your local hospital you want, it’s information about you. So today I can confirm that by April next year, every patient in England will be able to access their own medical record online – the first country in the world to take this huge step. It means you will no longer have to pay to access your medical record. You’ll be able to see it and show it to anyone you choose. You’ll find it easier to do detailed research about your condition and easier to challenge decisions. Because the boss is not the doctor – it’s you. Nothing about me without me. Personal control of your health delivered by this government. Conference my vision is simple. We in this party have always believed passionately we should honour our debt to previous generations. So I want Britain to be the best country in the world to grow old in. I want us to enjoy the fruits of prosperity, yes, but never forget the people before us who’ve worked hard to make that possible. Never forget that all our success, all our strength, all our wealth as a country is but a hollow dream if at the end of it we are not able to give all our citizens the healthcare and support they need in old age. Never forget that it’s not a choice between a strong economy or a strong NHS. You need both and only one party – this party – can deliver both. A strong NHS. A strong economy. From a Conservative party proudly rebuilding a strong country. Personal care. Personal control. For patients treated with dignity, compassion and respect. Delivered by our party. For our NHS. For our country. The “disastrous” performance of this Tory-led government was not accidental. It was entirely deliberate. One conversation I once had with Jos Bell (twitter here), an incredibly productive campaigner and chair for the independent Socialist Health Association London division, had much more of a profound impact than I thought at the time. I simply remarked that the Conservative-led government had been ‘disastrous’. Jos disagreed. She pointed out that the term of office had gone extremely successfully for the few who’ve made shedloads of money through private equity and hedge funds. A massive assumption we’re all prone to make, some more than others, is that the political class largely represent us and our interests. The number of ‘lost votes’ is the reminder to all of us of how disconnected parliamentary politics have become with our needs and concerns. There are, of course, some truly outstanding MPs, however. Another realisation for many, almost a right of passage, is the “lightbulb moment” that some leading ‘independent’ health and care think tanks have not been offering useful reliable impartial advice after all. The performance of some on the issue of competition, a shoo-horn for neoliberal markets, against the wishes of many professionals, is a testament to them. Dodgy advice was used to prop up the business case for the Health and Social Care Act (2012), and it is going to take a long time to unwind from this. I know of the misery that the ‘welfare reforms’ have had on the morbidity and mortality of disabled citizens. This does not prevent ATOS from fulfilling a lucrative contract, which was made under the last Government (Labour). There are accusations and counter-accusations of the effects of injection of private capital, the private finance initiative, which many hope will be addressed properly by the incoming government next year. City financiers and law firms continue to benefit from this sustained policy which has reaped havoc on various ‘local economies’ of the NHS. The sale of Royal Mail, and various other projects, into the private sector at an undervalue (it is alleged) clearly has not been to the best benefit of the taxpayer. But again many in the City, some alleged to be close to the current Government, have benefited personally (it is alleged). Through the prism of me and my friends, this Conservative-led Government has been ‘disastrous’. But they’ve actually achieved a lot for themselves in the last few years in the tenuous argument of ‘austerity’. The buzzword for George Osborne was ‘choice’, and you could hear a pin drop literally at George Osborne’s reassurance in his speech yesterday, “We’re all in it together”. Many grassroots activists in Labour are desperate to sort out the mess the country finds itself in. They certainly detest the idea of a Tory-UKIP coalition. The repeal of the Health and Social Care Act (2012) will be in the first Queen’s Speech of an incoming Labour government. This Act of parliament turbo-boosted the aggressive pimping of NHS contracts into private sector providers. Correct – another set of beneficiaries from this government, led by the Conservatives but the lifeblood of which is currently provided by the Liberal Democrats. In many ways, the next period of office is a ‘poisoned chalice’ once again, with debt in the last four years 4 x as much as the debt amassed by Labour in 13 years. But, to repeat David Cameron, “we can’t go on like this”. And the goalposts keep on moving. An identifiable threat still remains having a means-tested social care service bolted onto the ‘universal’ health system, like a badly soldered “lemon car”. A threat, less visible on the event horizon, is the corporatisation of general practice in the English jurisdiction. I suspect that, despite the noise produced by UKIP and LibDems, the NHA Party will fail to make inroads in seats in the actual election. This will be of great sadness to me, despite the fact I wish all Labour candidates very well, as they are clearly campaigning on many relevant issues. I feel that Labour will win the next general election. But I am terrified that, like the aftermath of 1997, it will be another missed opportunity for us. The topic of how corporates act as ‘good citizens’ has been significant in recent years, for example the synthesis of work on strategy and society. Broadly speaking, this work has identified a number of different concepts which are vital to corporate social responsibility. The first is a ‘moral obligation’. 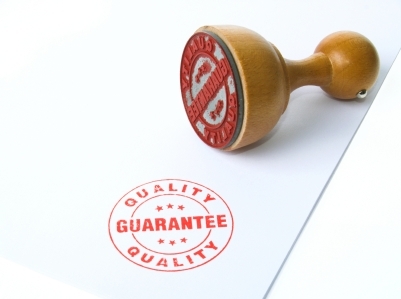 This must include honesty and integrity, and directly relates to domain 4 of the code of conduct “Good medical practice” for standards in trust and probity from the “General Medical Council” (GMC). Moral behaviour and legal regulation are dissociable. A legal ‘duty of candour’ or ‘wilful neglect’ are enforcement mechanisms for people telling the truth and protecting against deliberate malicious behaviour. But these are undeniable moral imperatives too. If the clinical regulator finds itself in dealing with a case in an unnecessarily protracted length of time which is disproportionate to reasonable standards, the clinical regulator should make an appropriate apology, ideally. Sustainability is important if the clinical regulator is to be ‘in the long game’ rather than grabbing headlines for being seen to be tough on misfeasance from individuals. This means in reality that the clinical regulator should be sensitive to the environment and ecosystem in which it operates. If it is felt, for example, that politically and economically it is expedient to pursue ‘efficiency savings’, the regulator must have a sustainable plan to ensure that it is able to ensure that such savings do not impact on patient safety. The raison d’être of the GMC is supposed to be promote patient safety. A proportion of the Doctors will be unwell. The legal precedent is that conduct which is so bad cannot be condoned whatever the reason. However, it is also true that ‘but for’ alcoholism, for example, certain problems in misconduct and poor performance would not have occurred. An ill doctor is about as much use economically as somebody out of the service entirely, so it is an economic sustainable argument that the health of doctors should be an imperative for the NHS. A ‘patient group’ within the GMC would go a long way to demonstrate that the GMC is capable of playing its part within a wider ecosystem. I know of no other important entity which does not have one. Thirdly, there should be a license-to-operate. This cannot be overstated. ‘Mid Staffs’ commanded much momentum in the media which was a problem for both the medical profession and its integrity, and yet there is still an enduring issue whether the GMC were able to regulate this as best they could under the confines of the English law and codes of practice. The GMC are also yet to report on the deaths of Doctors awaiting Fitness to Practise hearings, and the outcome of this will be essential for Doctors to ‘buy in’ literally into wishing to pay their subs. Last of all is reputation. This goes beyond the popularity on a Twitter stream. At the moment, there is concern that neither the medical profession nor the public feel very satisfied about the performance of the GMC. There is uncertainty what the public perception of the GMC is; many feel that it is a general complaints agency, when it is, in part, to regulate the performance of individual Doctors. There’s no statutory definition of what ‘unacceptable misconduct is’, and hugely relevant to the reputation of the medical profession. This had been addressed in the English Law Commission’s proposals for regulation of clinical professionals, which are yet to see the light of day. Without this definition, the GMC can simply come down heavily on behaviour which it feels is embarrassing with impunity, whatever the potential other contribution of that doctor might be. It is quite unpredictable what the consistent set of standards where members of the public feel wronged might be for this; the GMC is very unwilling to be seen as a ‘light touch’ against members of the public who want tough sanctions. There are so many aspects how the GMC could demonstrate its willingness to be a good citizen, which could help with the four points above. I feel as a person who has been through the whole cycle of having been regulated, who takes his credentials of being a NHS patient and being a student lawyer regulated by the Solicitors Regulation Authority rather seriously, there are constructive ways to move forward. Firstly, I would like to see a ‘user group’ of Doctors who’ve been through the regulatory process, and who have had bad health, who might wish to volunteer on helping the GMC with improving its operational output. Secondly, I understand the temptation to throw ‘red meat’ at the readership of certain newspapers. But likewise, the GMC could make more effective use of local dispute resolution mechanisms, looking at what the Doctor, the Trust and the member(s) of the public would like as a compromise to problems. This could have the aim of having a Doctor where reasonable corrective action has taken place finding himself or herself being able to return to work. The current situation has evolved through history as being adversarial, and this can err towards catastrophising of problems rather than wishing to solve them. Likewise, there is a public perception that some issues are completely ‘shut down’ before any attempt to investigate it. Thirdly, the GMC must be aware, I feel, of the evolving culture and landscape of the medical profession across a number of jurisdictions. This means the GMC, patients and professionals could be, if they wanted to, united in their need to uphold the very highest standards of patient safety. Clinicians work in teams, and techniques such as the ‘root cause analysis’ have as an aim finding out where the performance of a team has produced an inadequate outcome. Furthermore, there is no point in one end of the system urging learning from mistakes and organisational learning with the other end of the system cracking down heavily on individuals, with the effect that some individuals never work again. Like whole person care in policy, the clinical regulator should be concerned about all the needs of an individual, including health needs, public safety promotion, and the needs of the service as a whole. I have every confidence that the GMC can rise to the challenge. It’s not a question of light touch regulation, but the right touch regulation. And, as per medicine, sometimes prevention is better than cure. Andy Burnham MP was invited to speak at an event called ‘Together’ on the subject of his Fabians pamphlet of the same name. This video was taken at the Labour Party Conference 2014. Here he gives a vigorous defence of the proposed policy, not unique to this jurisdiction, on ‘whole person care’. In England, however, it will mean the formation of a National and Health Care Service. It therefore has profound policy implications. Conference I’ve got a question for you. 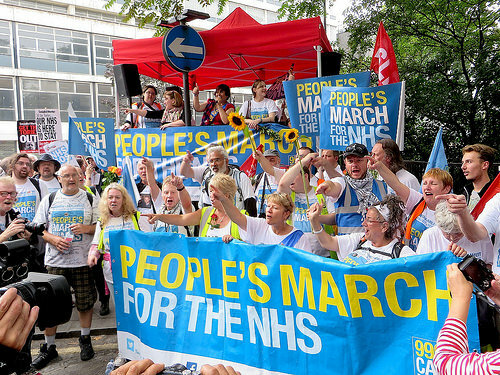 Hands up how many of you would walk 300 miles to save the NHS? Stand up if you actually have? Leading from the front, speaking for millions – Conference, please show your appreciation for the Darlo mums and the People’s March for the NHS. We have arrived at a big moment. The party that created the NHS in the last century today sets out a plan to secure it in this. A rescue plan for a shattered service. But more than that. A vision for a 21st century NHS there when you need it, personal to you and your family, with time to care. A national health and care service based on people before profits. Today we place that proud Labour plan at the centre of our election campaign. And, thanks to Ed’s great speech, we have the money to back it up. A plan worth voting for, proof that all parties are not the same, giving you a real choice over the future of your NHS. Because it certainly didn’t happen last time. Remember that solemn promise of “no top-down reorganisation”? It was a bare-faced lie. Days into office, the Tories set about dismantling your NHS. And the plan that dared not speak its name before the last election is now plain for all to see: run it down, break it up, sell it off. So today we serve notice on Cameron and Clegg: Thursday 7th May 2015 – your day of reckoning on the NHS. A reckoning for trashing the public’s most prized asset without their permission. And a reckoning for a ruinous reorganisation that has dragged it down and left it on the brink. A winter crisis in A&E now a spring, summer and autumn crisis too. Over three million people on NHS waiting lists. Families waiting longer for cancer treatment to start – and the national cancer target missed for the very first time. The NHS can’t take five more years of Cameron. I could go on about the damage he’s done. But let’s be honest – would that help people worried about where the NHS is heading and wanting real answers? I know there will be families and carers out there watching us today wondering whether anyone really understands what their life is like. Soldiering on from one day to the next, feeling invisible and taken for granted, ringing the surgery early in the morning but unable to get through, telling the same story to everyone who comes through the door. You feel no one listens – and no wonder. So that’s why I’m going to do something different today. I want to speak directly to you. And to the parents of children with disabilities, for whom life feels like one long battle and who fret endlessly about what would happen to your son and daughter if you weren’t around to fight. To the millions of you who face the daily worry and stress of arranging mum or dad’s care whilst trying to hold down a job. And, most of all, to those of you who might be watching this alone at home fearing what the future might hold. My message is simple: Labour is with you; your worries are ours; we know things can be better than they are; we want an NHS that takes your worries away; and we can achieve it if we do something bold. The time has come for this party to complete Nye Bevan’s vision and bring social care in to the NHS. That allows us to rebuild our NHS around you and your family. No longer ringing the council for this, the NHS for that. But one service, one team, one person to call. An NHS for the whole person, an NHS for carers, an NHS personal to you. At last, a National Health Service keeping you well, not a national sickness service picking up the pieces. And an end, once and for all, to the scandal that is care of older and vulnerable people in England in 2014. I ask you this: how much longer will we say that people who are so frail that they need help with getting up, washing and eating, and who suffer from loneliness and isolation, are only worth a slap-dash 15 minute visit? How much longer will society send out the message to young people looking after someone else’s mum, dad, brother or sister that it is the lowest form of work, lower than the minimum wage because it doesn’t pay the travel time between the 15 minute visits? How much longer will we see these shameful scenes from care homes on our TV screens of people being shouted at or abused and not say enough is enough? And for how much longer, in this the century of the ageing society, will we allow a care system in England to be run as a race to the bottom, making profits off the backs of our most vulnerable? If this party is about anything, then surely it is about ending that. I want you to understand why I feel like this. About ten years ago, I saw my own mum ground down and worn out by the battle to get decent care for my gran. She was in a nursing home where corners were often cut and where it was hard to get GPs to visit. The decent people who worked there were let down by the anonymous owners who filled it with untrained, temporary staff. My gran’s things often went missing and we had got used to that. But I will never forget the day when we walked in to see her and her knuckle was red raw where her engagement ring had been ripped off. Right there, right then – I made it my mission to end this scandal. And the greatest sadness of all was that this so-called care cost my grandmother everything she and my granddad had worked for. I know millions of families have been through the same or are going through it now. People look to Labour to change these things and that is what we will do. You know the Tories will never do it. They put profits before people – always – it’s in their DNA. Their answer is to let the market that has ripped through social care carry on ripping through the NHS. Conference, we will do the precise opposite. I am clearer about this than anything in my life – the market is not the answer to 21st century health and care. People out there know a minimum wage, zero hours approach will never secure the care they want for their mum and dad. So our ten year plan for the NHS is founded on people before profits. We will free the NHS from Cameron’s market and, yes, repeal his toxic Health and Social Care Act. We will ask hospitals to collaborate once again and reinstate the NHS as our preferred provider. The public NHS, protected with Labour. Not for sale. Not now, not ever. Cemented at the core of every community so that it can then begin the job of bringing social care in and lifting it up. Building a culture of respect for all people who care and ending the indignity of flying 15 minute visits. Caring no longer a dead-end job but part of one workforce working to NHS standards. But there is a reason why we give the public NHS such stability. It is so that we can ask it to embrace radical change in the way it provides services to you and your family. We will ask hospital trusts and other NHS bodies to evolve into NHS integrated care organisations, working from home to hospital coordinating all care – physical, mental and social. Why? Because it makes no sense to cut simple support in people’s homes only to spend thousands keeping them in hospital. We can’t afford it. It will break the NHS. But, more, it’s not right for you. The ever-increasing hospitalisation of older people is no answer to the ageing society. Bringing social care in doesn’t add to the financial burden. It is the key to unlocking the money. But it will mean change and you need to know what that means for you. Just as Nye Bevan wrote to every household to introduce his new NHS, so I will write again in 2015 to explain what people can expect from our national health and care service. And this is what I will say for any family caring for someone with long-term needs, one team around you. No longer should frail or vulnerable people be shunted around the system, from ambulance to A&E to noisy ward. Instead, this team will come to you. Its goal will be to keep you in your own home, safe and well. You and your carers will have one person to call to get help so no longer telling the same story over and over again. You will have a care plan personal to you and your family. If you and your carers get what you really need from the start, then it’s more likely to work. Building the NHS around you will need a new generation of NHS staff, as Ed said yesterday. So we will recruit new teams of home care workers, physios, OTs, nurses, midwives with GPs at the centre. And will we have mental health nurses and therapists at the heart of this team, no longer the poor relation on the fringes of the system but making parity a reality. And to make sure this investment is not creamed off by others, we will look at how we can ensure private health providers contribute their fair share towards the cost of training. But, with the best will in the world, the NHS won’t be able to do it all. That is why I can announce today a big change in the way the NHS supports carers so they can keep going. No longer invisible but at the very centre of this new service. So today we announce new support for carers: protected funding for carer’s breaks; the right to ask for an annual health check; help with hospital car parking for carers; and we will go further. We will give all families the right to care in their home, if they want it. A national health and care service truly there from cradle to grave – from a new right to have a home-birth and a right to be in your own home at the end of your life, surrounded by the people you love, with your care provided on the NHS and no worry about its cost – starting with those who are terminally ill with the greatest care needs. These are the things that matter and this is about an NHS there for you at the most important moments in life. This is what people want and this is what becomes possible with our plan. True whole person care – simply not possible in Cameron’s fragmented, privatised, demoralised service. Make no mistake – this coming election is a battle for the soul of the NHS. The fight of our lives. Now we must walk 300 miles for the NHS to every doorstep in the land. With hope. With pride. With passion. With a plan you can believe in. But, in the end, this is about more than us. This is about you. Your children, your grandchildren, your great grandchildren. It’s about whether an NHS will still be there for them in their hour of need as it has been for you. Don’t regret it when it’s gone. Join the fight for it now. So I make this appeal to you. Help the party that founded the NHS give it a new beginning. Help us make it the service we all want it to be. An NHS that puts people before profit. An NHS that cares for the carers. An NHS there for your mum and dad. An NHS with time to care. An NHS for all of you.